The caller, a college student, was having trouble focusing on school. Life had taken a left turn at Albuquerque and she'd pretty much unplugged. I waited for her list of problems. Of course, once the problems were solved the rest would naturally fall into place. Not so much ..
Then there's the other kind. The kind that doesn't show up in the movies, because there'd be nothing to see on the screen. You're wearing a clean t-shirt and it's really only raining in your head. Except you're not even sure that it's rain. Could it be a blustery wind? Snow? Sleet? Hail? Maybe a tornado is on the horizon? And where in the world is the sun? I can't tell you one thing that went wrong, but rather, a strange series of things that were just a little bit wrong. The tiniest little-bit-offs. I burned the rice pudding. My new pedicure chipped. Clouds rolled in the minute I wanted to photograph something delicious. I mustered enough courage to make a phone call and then made awkward attempts at small talk .. knowing I've already been written off .. But Dr. Laura wasn't done just yet ..
Every week a new recipe is posted on the bulletin board and this is one of my favorites to-date. If you love a good avocado dressing, it's definitely one to try. 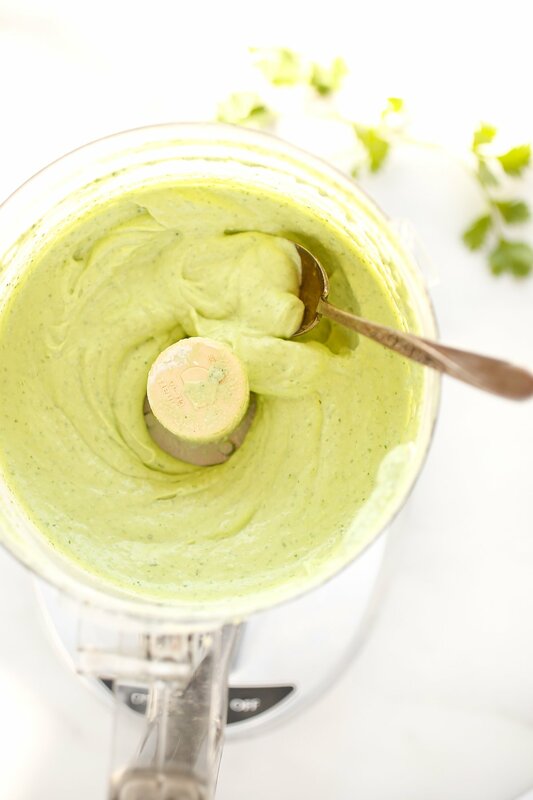 A blender dressing fragrant with fresh cilantro, seasoned with garlic, and lemon, and boosted with greek yogurt. It's brimming with good-for-you ingredients, yet tastes exceptionally decadent. It's the sort of dressing that is ideal on a wedge of lettuce (or grilled lettuce), but I imagine it would be a brilliant complement to any veggie platter. I used it for a simple lettuce and mixed veggie salad with toasted nuts and (more) herbs. Other ways I can imagine putting it to use? Drizzled over tacos, as a generous dollop on a baked potato (or sweet potato), or even as a sandwich spread. ~ Not a cilantro fan? Try a combination of parsley and dill, or really any herb or combination of herbs you love. What a healthy, yummy dressing. There’s lots of goodness from this recipe, from the omega-3-rich avocado to the vitamin-enriched lemon and spices. Makes a great dip for crackers and chips too. I want to quote my favorite part of the post above, “No matter how horrible it was, you have to rise above it and move on anyway. Don’t you? Or else you let it win”. Although the post is about your 10-weeks fitness challenge and food, I can adopt it as my own challenge. I’m a kind of a person who is over sensitive – a single negative criticism can break my spirit and that is enough to lose my focus. So I have to discipline myself in any way possible or else bad luck will overpower me. I have to teach my mind to focus on things that are positive. Thank you for that wonderful message. This post really made me stop and think a bit. Self discipline these days appears to be often overlooked in favor of instant gratification, rather than sticking to what we know is really in our best interests. I suppose everyone’s level of self discipline is different and depends to a large extent on a number of issues including your life experiences, maturity and culture. It’s certainly something that needs to be consciously worked at – of course determined by how important we view the issue. I tend to be self-disciplined in so many areas, but then there are a few areas I need to practice more self-discipline. I like what Dr. Laura said about not being able to find self-discipline. You need to practice it – and I need to remember that statement. I have become one of your biggest fans. I love the inspiration you give me for putting zest back into my cooking. Thank you, Ali! Yes, I try to rise above and try not to dwell on things. I do have self-discipline in some area. Eating is probably not one of them. I like my food. I’ll be trying this dressing! I just love my avocado. Self-discipline can sometimes be very difficult especially for children. It is something that I’m trying to instill in my child and there are days that it is easier than others. I don’t have any self discipline. What I have tons of is permission granding. I am granding myself permission to eat the things I shouldn’t because I am tired, sleep deprived and a super mom on occasion. Btw thanks for the recipe I am going veggie for the Lent! I like to believe that I’m self- discipline in many aspects of my life. However, some things I’m just not that discipline about. Balance right? 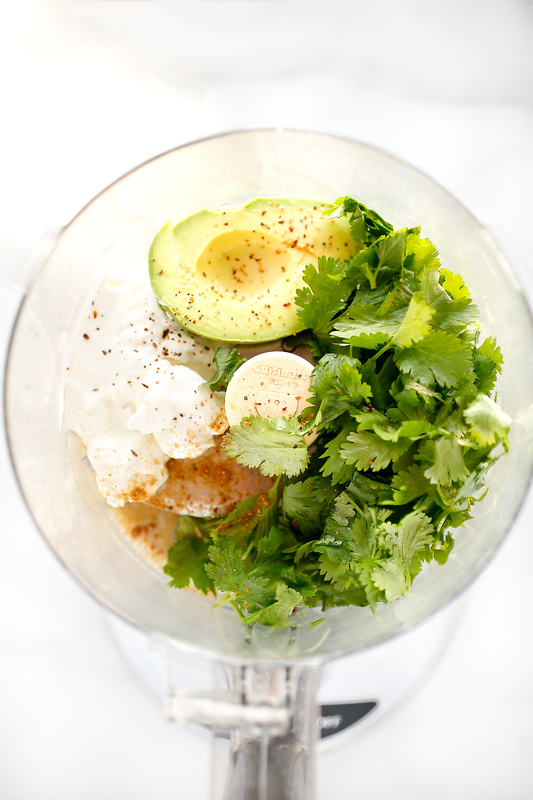 This avocado cilantro dressing looks amazing. 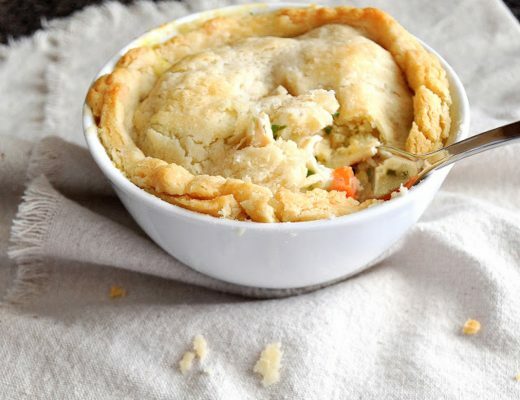 Bet it would be good to dunk veggies it too! I am not sure my dog notices when my mood changes. I am trying to keep a more positive outlook this year. To change my thought process as well as my environment takes a lot of focus for me. I have allowed my happiness to be disrupted too many times for too long. I have been adding more avocado to my diet I’ll have to try this recipe out! I don’t usually make too many dressings. Or else you let it win! That right there is the meat of the entire post. I can list all the things that are off in my life and give you very valid reasons for why nothing is getting done. But then I am letting it win. Ahh I think we all have those days too, I know I actually lack self discipline these days, where as at one point I felt I had it under control! This looks so good, despite not being an avocado fan! I want to try it! This looks so amazing!!! I’ve never been a fan of avocado, but I am willing to try this for a different dressing. I love dressings and this one, maybe, just maybe I might try. Gorgeous photos! *Whispers* I don’t know who Dr Laura is! This dressing looks amazing though, I have a secret love for avocado I think that I don’t bring out much. Yup, you are right. I will want to put this on EVERYTHING! I am thinking chicken, salads, tacos, etc. I am so saving this recipe. I need to get avocados ASAP! So good…so good, so good, so good! I’m getting married in a month… and this salad dressing is so quick and delicious and I just might eat it VERY regularly until the big day! My fiance and I are in love with food and cooking almost as much as we are with each other. But out of the two of us, I am admittedly the one with the major addition to your blog (I don’t mean to scare you here, I promise, I just love your recipes!). Oh, and I must also confess, you know your granola recipe? I make big batches of it and it gets eaten out of my favorite bowl every day with yogurt and fruit. Every morning, my friend, every morning. So all I can say is: thank you! 10 weeks is a long time and definitely a test of self discipline. I’m struggling with a 40 Lenten season, I can’t imagine 10 weeks. I heard a study done last year that stated the main thing that separated those who succeeded and those who did not was basically grit. It is important to instill self discipline into children so that they have the tools to complete their goals. I have great self discipline in some areas, and not so much in others! Just a brief word on cilantro hating. I first tasted it, when it was sprinkled on some hummus at book club. I literally had to spit it out and looked around hoping nobody had noticed. But as there is little edible which I cannot enjoy, well-prepared, I was surprised at myself. So I kept sampling it when offered in other foods. I’m not sure when it happened, but I went from hate to toleration, to it’s one of my favorite flavors. In fact, I have to keep myself from adding it to too many things. Truly. And with lime, it is near divine. All I’m suggesting is that it might be worth fighting for, in a mild and slow-paced kind of way! What a perfect day to read this! I just came back from the doctor with my blood results not favorable because I am guilty of over indulging and just being lazy in 2017. I used to be so disciplined, I dunno what happened. I don’t want to justify. BTW, Avocado is my favorite fruit that I always eat with milk, sugar and ice. But it’s a seasonal fruit in my country and I only get to enjoy for a few months in a year. Another thing, I don’t know how to pick a perfect avocado. It’s been a year since my boyfriend and I moved in together and I’ve become addicted to cooking, our most enjoyable moments are at our dinner table with our kids, who, to my deep regret do no appreciate my cooking (yet). We talk, laugh, and enjoy each other. In my searches to once again surprise my dearest, I came across your site, and have visited often ever since. I’ve loved reading your story. 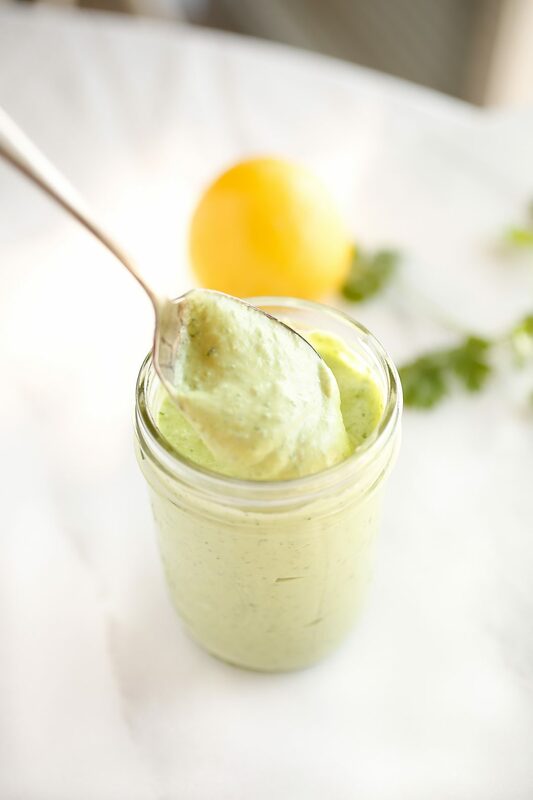 Your site is truly wonderful, there is such a sense of warmth and it inspires me to keep cooking and try new things … such as this avocado dressing …! So, I only expected to read a recipe…what an amazing post this was. So so true. I can’t wait to read more of your blog posts. Also, I’ve tried to make avocado sauces and things in the past and they never quite turn out how I want them to. I’m excited to try this. Such a brilliant reminder, just what I needed today. 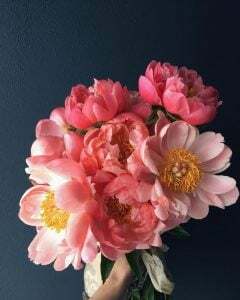 A lot of things can happen in a day, those things can be bad but that doesn’t mean we have to stop and allow these things to overtake our routines, our lives, our path. It’s important that we take charge and tell ourselves, nope, that’s not going to bother me today. Today, I’ll keep moving towards what I need to accomplish. Love it. And love that dressing too! Bright recipes like this give me such a needed lift! It’s been so much colder than our usual winters here too, and vibrant meals are so so appreciated. This sauce sounds so good, and I love the suggestion of switching out parsley and dill for cilantro too! Oh, this combination sounds perfect! I definitely love having jars of homemade sauces and dressings just hanging out in the fridge for on-the-spot application. Thanks for the great idea! I don’t have a shred of self discipline. I would like to learn more on how to build this up. I am a procrastinator, too, and I am sure that this has a role. Wish I could figure it out. In the meanwhile, I am adoring this recipe. Have to try it. I know I could use a little self discipline in a few areas of my life! I’m working to do better in controlling myself and I can pinpoint the areas in which I know I need it, I just need to practice it daily and as for avocado, I still can’t get into it. I have never made my own dressing but this one looks like something my whole family would enjoy! 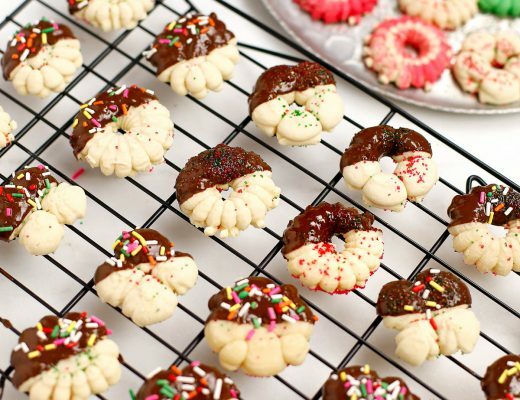 Looks super easy to make too. My daughter LOVES avocados and we buy about 4 of them a week just for her! Ha! This looks delicious. I recently tried making an avocado dressing but it was too tart for me, I also didn’t like the consistency. I was really bad at self-disciplining myself to get school work done in university. You’re right we do need to practice and get better at it before we get too far behind. Already getting the flavours in my tastebuds as I read your recipe, such winning combination. Creamy avocado, slightly sharp cilantro and with the spice from the chillies, its a winner. This dressing sounds AMAZING . I love anything and everything avocado so this is right up my alley. Looks like a great dish for Spring, too. I have become the biggest fan lately of sauces and salsas. I’m putting them on everything. My favorite combination is cilantro and lime. They’re such a great to way to transform a dish. I am currently struggling with a lack of self-discipline and trying to get back into a healthier way of life again. I have had a lot of medical setbacks that have made it easy to make bad choices with food but now it is time to get back on track. This looks like a good dressing to help me stay there! Sounds like a rough go. One fine day is one of my favorite movies and I can relate to how things can seem like they are turning for the worse. Like a domino effect. Being healthy isn’t easy and self discipline is hard. You literally have to keep yourself in check, allow those days were you can relax and make it a lifestyle habit instead of something you HAVE to do. Self-disciplined is very important but you can’t always guarantee yourself that in in any type of situation, you can act the way you want to. I struggle with it sometimes. That avocado dressing looks great! Thank you because I have been looking for a cilantro dressing recipe. I pinned this I definitely will be recreating it! When I was in high school we had a Friday afternoon class that was supposed to be religious instruction but turned into something of a Life Skills / Life Orientation type thing. One of the discussions we had one day was about studying for exams and how many of us found it difficult to study when the family was around because the household activities and noise was distracting. Our teacher didn’t give it a name but said that to be successful in life we had to start by being able to study for exams wherever you were and under whatever conditions and distractions we labored. Self Discipline – you put a name to, it but more importantly defined it’s essence. ‘Your only weakness is that you allow others to disrupt your rhythm.’ I am going to put a note on my pc as a reminder to practice it daily, whether it comes to eating breakfast every day or working on my blog. PS: The avocado dressing looks so good I want to eat it with a spoon! I think it’s true that we are the obstacle in achieving our goals despite the things we may blame. Self-discipline is tough, and when you need it the most is usually when you’re feeling at your lowest so it’s even harder to maintain. Powering through it until it becomes easier (for a while) is the only way I know how to do it. The dressing looks incredible! Self-discipline is so important. Some days I need to remind myself of the importance of being disciplined in order to keep going and carrying on! I have no self-discipline when it comes to some things. Sad but true. I’m pretty sure I’d love this with parsley and dill. It sounds like a great combo to whip up a new favorite dressing. I totally feel those blue days where it’s raining in your head. I had one Monday, starts off cloudy, rain comes in and if you don’t do something about it it’s stormy with risk of tornados. That’s when I find I need yoga the most. To ward off those days. “She probably doesn’t know it, but I still carry those words with me on a notecard in my bag” – such a wise mentor you’ve got there and I am grateful you carry those words with you. “I mustered enough courage to make a phone call and then made awkward attempts at small talk .. knowing I’ve already been written off ..” This was me a few months ago. I would call and get the cold shoulder and silent treatment even before calling. Guess what? I stopped calling and the world hasn’t ended yet. Back to self-discipline and since I started incorporating mindfulness practices … I have known no greater peace. I was at dinner with a friend the other night and told her my observations that once I stopped calling they didnt call either and that in itself is a blessing. I am done with making the first moves/reaching out first and those God forsaken small talks. Never again. I noticed now that I let go, I have been blessed with those that love me for me and it shows in all they do. You’ve had the best posts lately. 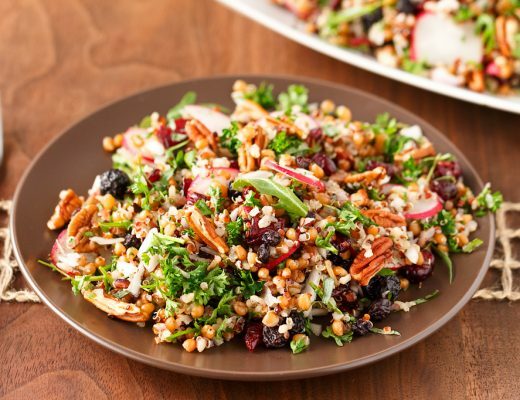 The most wonderful thing about recipes like this is that they adapt to “non-healthy-thinkers” as well, and can give those who have been leery of going totally vegetable dependent a delicious way to “ease into” it. I lack self-discipline greatly, especially in eating well and taking care of myself – I know what I should be doing but it doesn’t stop me from diving for the next piece of chocolate. I have days like yours often, where everything just goes wrong, one thing after another. I hope you’ve had lots of better days since. I grew up in Escondido, which was once the avocado capital of the world. During the ’60s and ’70s, I swear, we ate our weight in local avocados. My mother made an avocado dressing using avocados, olive oil, yogurt, lemon juice, and water to thin. It’s one of those things that, try as I might, I never could make it as good as she did. I guess it is the basic nature of female as we get attached to people very easily and allow them to disrupt our rhythm. I have experienced the same many time. But the thing is it is tough to to be strong. I am loving the sound of Dr Laura. Plus I am also loving this right now, especially as I am having as I write a strenuous conversation with my daughters father ‘Your only weakness is that you allow others to disrupt your rhythm.’ This is what I will be clinging too today, as well as your tasty dressing. This looks amazing. I’m awful when it comes to self-discipline. When I was diagnosed a 2nd time with gestational diabetes I was somewhat relieved because that means I had to have it and practice it daily. The thing is it’s not just my peers, even people/mentors I look up to – what do they do? How do they manage it? Were they built like that? They are humans just like me, but they have got this drive and passion for their goals that they can’t notice distractions or can’t afford to notice them. Amazing article. This just gave me a boost. I’m not big on cilantro, but I love avocados in any shape and form. And as much as others complain about my garlic breath (on occasion) I am not willing to give garlic up either. This sounds like a great and simple recipe. I can see myself making it for a ‘girls’ night in’. It is not easy to have self discipline. I work from home and some days are a struggle to get anything done. It is easier to get nothing done and watch trash TV all day but I don’t. This dressing looks amazing. Avocado and cilantro what a combo. Throw this on some poached eggs in the morning, or in a pita, or even as a drizzle over a fritter. Hope you have a great weekend! What a well written, thought-provoking post. It’s funny (well it’s not really, it’s an observation) that I long for those days when I’d just get upset about the clouds rolling in. Everything can change in a heartbeat (or lack thereof), and one’s world can tumble upsidedown. Late for an exercise class? Yay, you got to exercise class. 🙂 Self-discipline is something I strive towards every day; some days are good, some days I’m just trying to get through it. Hi Alison. It’s so great you are keeping up with your ten week challenge. I bet you have lost a little, even if it’s not a ton. And the real thing with those first few weeks isn’t about the weight lost but the energy gained. Its the stuff which will carry you through into the future. I really love what you spoke to about self discipline here. It’s such a hard thing to have at times, and we allow excuses to rob us of it in so many different ways. I really love the recipe, and am going to have to try making this. I’ve been making dressings for my dad because of his heart issues. As long as I don’t add too much of the salt I can see how this would be amazing. I know I would love it. I will have to see what he thinks. I’m on a creamy dressing kick lately, too. Tonight I made yours, but with the parsley and dill instead of cilantro. We ate it on a kale salad, topped with halved boiled eggs, slices of red onion, and avocado. Delicious! Self discipline is so important but can often be such a big battle. You just have to persevere as much as you can. I love avacado . This dressing would really enhance taste of many dishes. It can also be used as dipping sauce. Thanks for a great dressing I would try it as spreading for my sandwich. 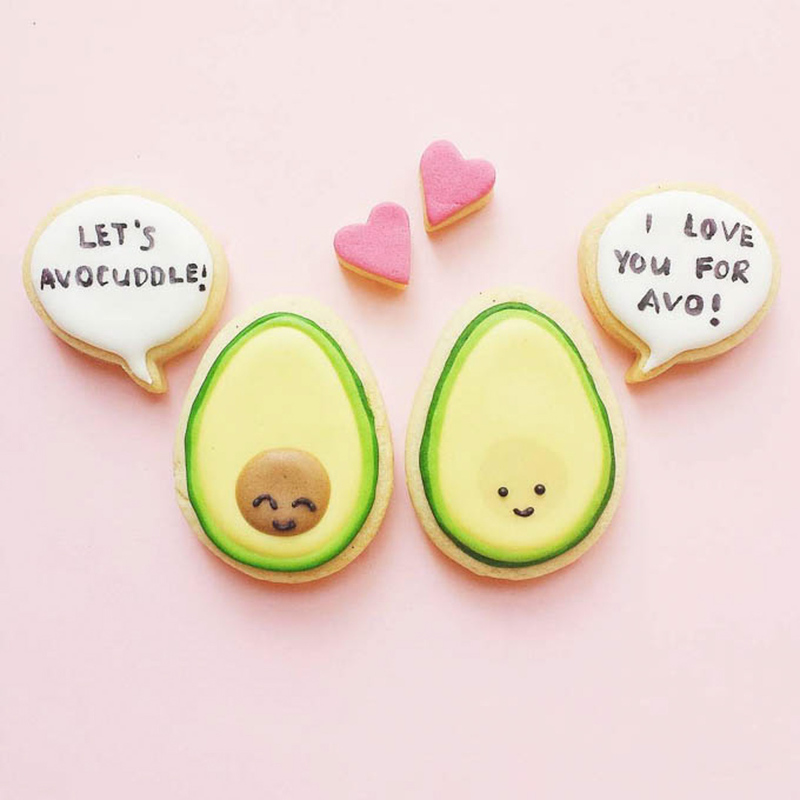 Love avocados, how they add a special touch to some plates! 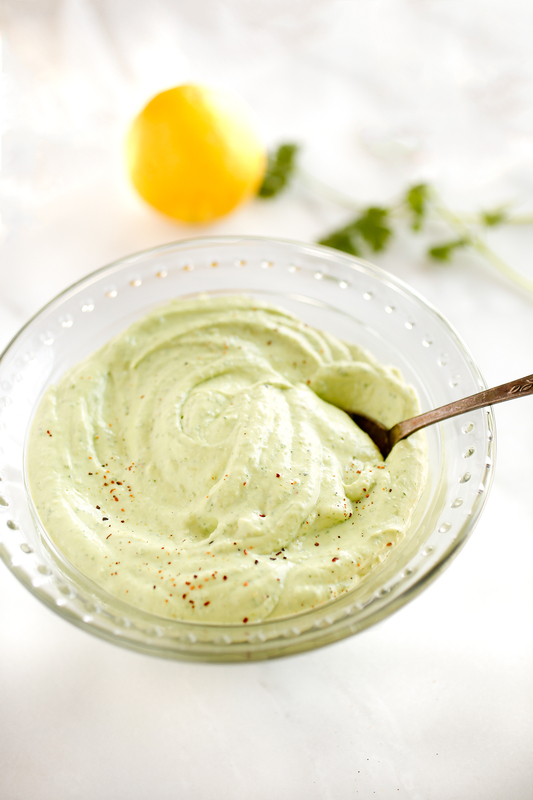 This dressing looks so creamy and delicious, definitely my kind of sauce! This sauce is so good! I put it over quinoa, green beans, and broccoli last night. Yum! AND… we drizzled it over nachos with black beans and cheese tonight ….decadent. YUM YUM YUM! You know Allison, one of things that can make my “ordinary” day go wrong is actually… cooking. I’m not so good at it because I’m always in a rush, I’m clumsy and my mind is always somewhere else… So sometimes I try to read your recipes and follow them step by step to be sure everything will go… Like Allison would make it go! Sometimes I succede, some other times I don’t. Thank you for this post, I love avocado and I’m sure I’ll pus this sauce over sandwiches, omelles, pasta too (do you think that’s for pasta)? Wow! I needed those quotes from Dr. Laura. I’m kinda on the verge of giving up on my job…myself, and that rather helped. Anyway, the dressing looks good and because it’s avocado, I might just drool right now lol. I definitely need more self-discipline. The year started off great, now fizzling out. Thank you for the reminder that I need to make it happen and not wait for things to magically change for me. I love that about protecting your rituals and habits! It’s so true and something I don’t do enough. I might have to steal that idea of writing it on a notecard and putting it in my purse. You are absolutely right. You need to right above and move on. No time to lose on dwell on what happened. I know what I mean as I went through something not pleasant at all not so long ago. This dressing looks lush! I love avocado and I could so easily become addicted!